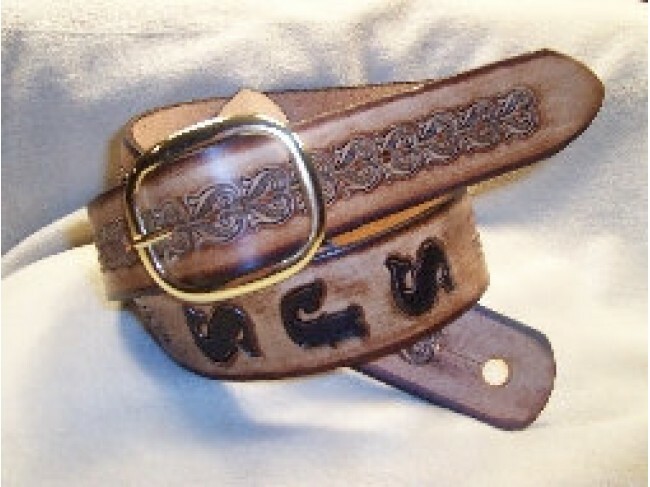 This 1 1/2" strap comes with paisley design down the center and a buckle in the middle of your chest for complete adjustment and comfort. Designed after Brian May of Queen. Shown in Dark Brown. You choose the color.